Mountain and Sea: Mimosa - Is there another species? 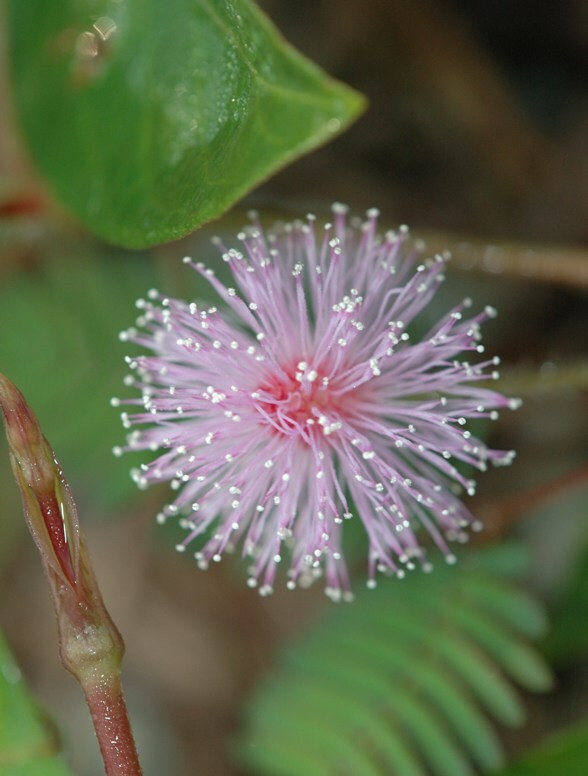 Typically, the Mimosa (Mimosa pudica) that we know has pink flower, and somehow "spiky", like a pin cushion. But I came across this mimosa with curled filaments! Not too sure whether this is a new species, or a stricken Mimosa pudica! But if this is a stricken mimosa, then there should not be so many of them! Any mimosa expert can shed some light? Spoke to a plant expert, this is actually M pudica, the flowers are withering. However, what I cannot understand is that the whole field of M pudica was with withering flowers. There must be some form of stimulants (excessive rain; continuous sunshine etc) that must have triggered a mass withering. This is again intriguing, so have to keep an eye even for a mimosa that most of us would consider as weed.